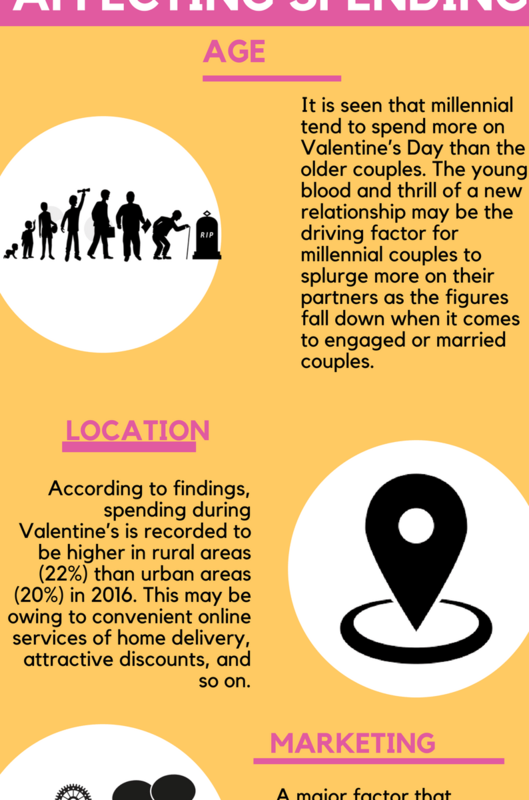 According to findings, spending during Valentine’s is recorded to be higher in rural areas (22%) than urban areas (20%) in 2016. This may be owing to convenient online services of home delivery, attractive discounts, and so on. It is seen that millennial tend to spend more on Valentine’s Day than the older couples. The young blood and thrill of a new relationship may be the driving factor for millennial couples to splurge more on their partners as the figures fall down when it comes to engaged or married couples. Factor that induces spending is effective marketing strategies. Creating a sense of urgency amongst people and luring them through heavy discounts on best-selling products helps augment sales.